This charming joint rates highly on my list of breakfast spots in Durham Region. A wide selection of choices at great prices, large portion sizes, and good coffee, how can you go wrong?! When I first walked in I wasn't sure if I was to order at the counter and then sit down, or if this was a restaurant with servers. I was quickly greeted and sat by a window, answering my questions of how to order. I opted for an old favourite, Eggs Benedict with peameal bacon. Each order comes with potatoes and beans; I skipped out on the latter. The potatoes had great flavour, but I was disappointed that they were not crispy at all. The hollandaise was thick and rich and the eggs cooked to medium perfection. There was too much sauce on top of the eggs for my taste, though I'm sure many people would have been happy with the generous serving. 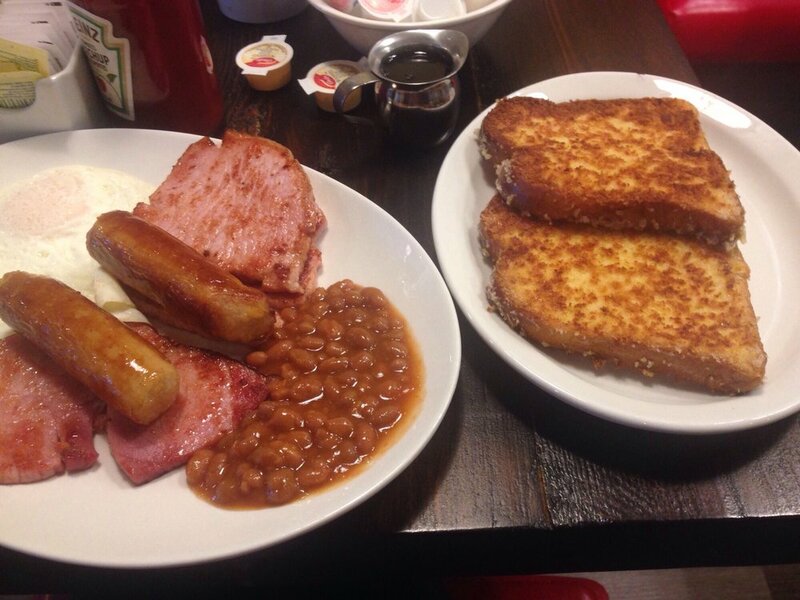 Overall, this is a great choice for breakfast in Durham region. I'd like to return to try the lunch menu! 0 Response to "The White Apron"